Traveling to Walt Disney World with a large group can be a wonderful thing, and wonderfully frustrating thing. When it comes to a large group dining at Disney, it pays to plan ahead (especially if you go over the holidays). Large group dining at Disney World is possible, but not always easy. If at least one member of your party is staying on Disney property, he or she can make a reservation at 180 days in advance. 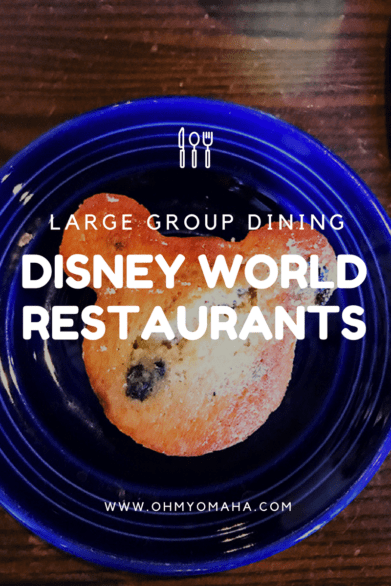 Read blog post by WDW Prep School has a great list of restaurants at the Disney World that can accommodate large groups (and includes max size of groups). It helped me plan our trip! My Disney Experience app does allow booking a fairly good-sized group – I’ve been able to book for 10 people. 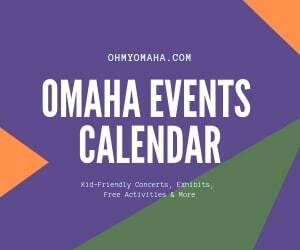 If you don’t have the app, get that on your phone pronto. When we tried to get a table for 36, we had to speak with a person.We used the app to book three separate, staggered reservations at Maya Grill at the Coronado Springs Resort. When we arrived early, we asked the restaurant staff to seat all of us together. They could accommodate us since we were the first reservations at the restaurant. If you’re planning ahead of time, though, it’s even better to call to set it up (407-939-5277). Keep in mind that our reservation was right when the restaurant open – any later and it wouldn’t have helped. Note: I would not recommend Maya Grill for large groups. Even when planning 180 days in advance, some of our reservations had to be made for atypical dining times. For a party of 16, we got a reservation at Be Our Guest at the Magic Kingdom, we had a reservation time for 11:30 a.m., but for the Akerhus Royal Banquet Hall at Epcot at Epcot, our lunch for 11 people was at 2:30 p.m.
We had a large party reservation for 16 people at 50s Primetime Café at Hollywood Studios. I’d heard great things about the experience there. There’s a lot of humorous interaction with the waiters. 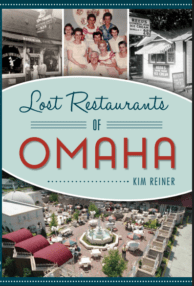 But, it was lost when our waitress tried to get the orders of 16 people. Granted, part of the problem was that two of the families in our group didn’t speak English as a first language, and maybe the sass was lost of them. Here are three restaurants where I had a good experience dining with a large group. Keep in mind, we were traveling with younger children, which may or may not be a detail that you are also taking into account. – The Quick Service restaurant Be Our Guest at lunchtime was efficient and spacious enough for us to find tables next to each other, even for a group of 16. On the Disney dining plan, it is one Quick Service Credit per person. Reservations are a must. – The Storybook Dining lunch at Akerhaus Royal Banquet Hall in Epcot was wonderful for meeting princesses. If you’re on the dining plan, it is one Table Service dining credit. Our group of 11 was seated together. The food was great. – Chef Mickey’s at the Disney’s Contemporary Resort accommodated a group of seven together. It is a buffet and rather hectic, but it’s another great character meal. We were there for breakfast. If you’re on the dining plan, it is one Table Service dining credit. 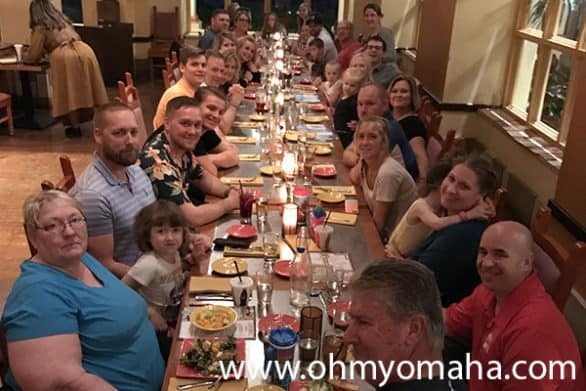 – I would not recommend Maya Grill at Coronado Springs Resort for a large group. Our entire party, 36 of us, had a dinner there and it was a three-hour comedy of errors. On the positive side, we were able to make a reservation there just the day before and we were seated all together. What are your favorite Disney restaurants? Would you recommend them for groups? Get travel inspiration in your inbox!